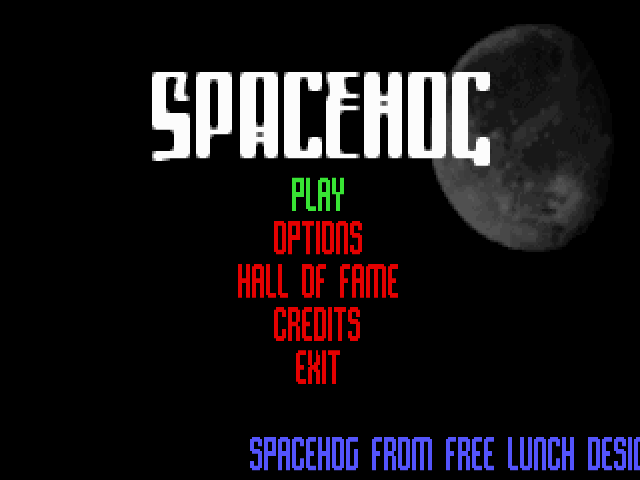 You can play Operation Spacehog on this website so you don't need to download and install the game on your computer. We recommend to use Google Chrome when playing DOS games online. 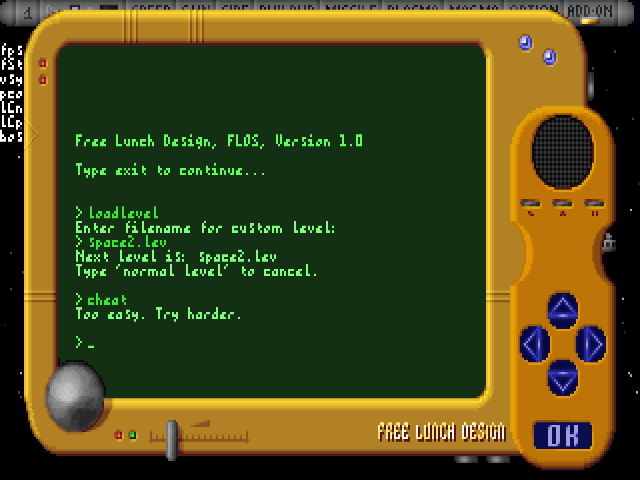 shledit.exe is an official level editor for Spacehog. 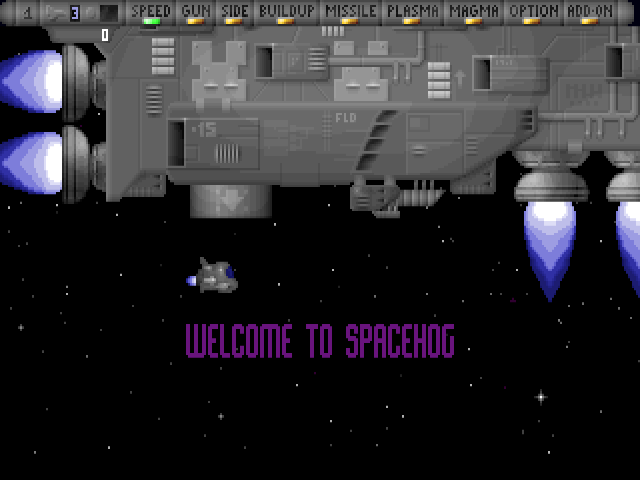 Spacehog is a horizontal scrolling shoot'em up game for one or two players. 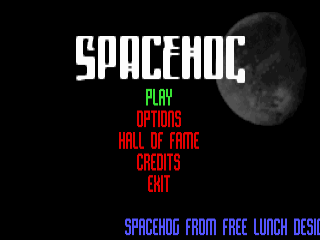 If you ever played Gradius to Nintendo 8bit or Project X on the Amiga you'll know what it's all about. 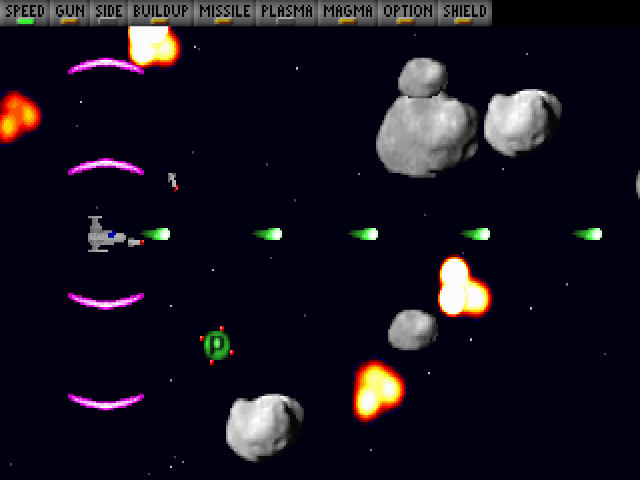 The player gets to control a small ship in a battle against horrible odds. 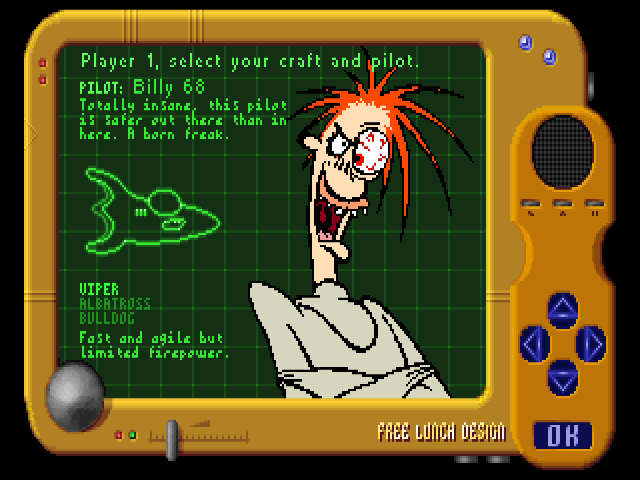 Luckily the player can pickup power-ups along the way and upgrade the ship with these. 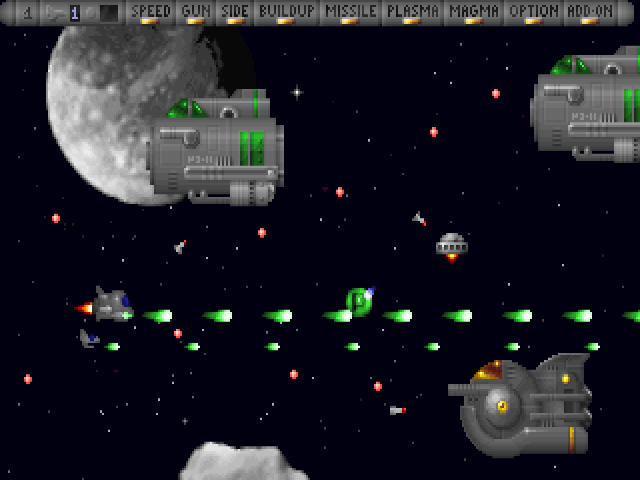 The nature of the power-ups vary from ship-manuverability to hightech weapons and shields. 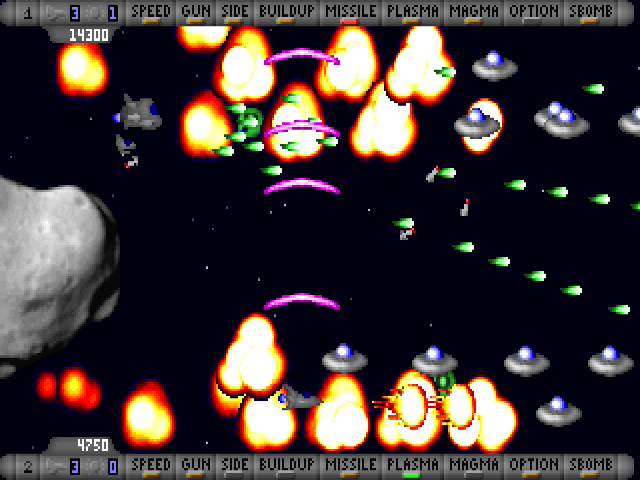 Enemies will appear one and one or in gropus following a predesigned attack pattern. 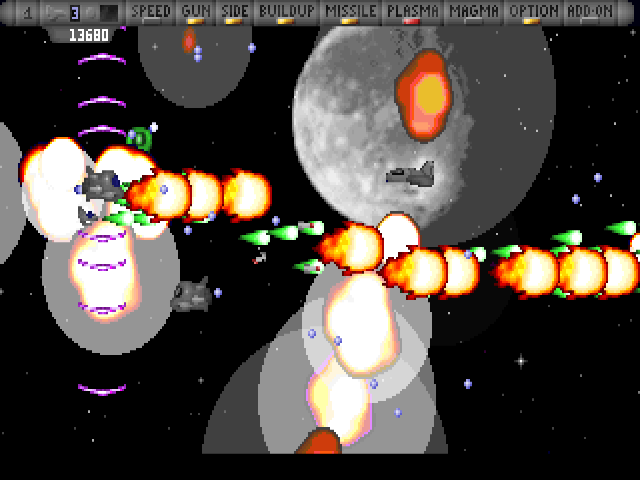 The patterns will always be the same for each level and the player can "learn" how to treat each wave of enemies. When a wave or a certain enemy has been destroyed completely a power-up will be given that the player can pickup by flying over it. The game is divided into levels with varying lenghts. Each level will have a theme and enemies and other objects will fit into this category. At the end of each level there will be a guradian. Examples of levels would be meteor field, moonsurface or the usual blasing in outer space. The levels will be designed to be harder and harder as the player advances. Enemies will be given more hitpoints, higher speed, more advanced attack patterns and so on.